These days, we want to find the best restaurants that are located in our area. Sometimes we feel the need to list the places that are perfect for lunch or dinner. For those who are looking for an affordable and delicious meal, try dining at Chicken Ati-Atihan. 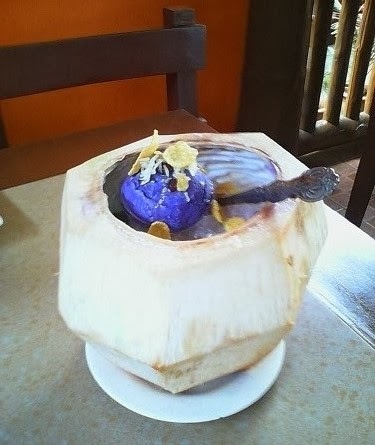 The restaurant has various branches in Mindanao and Visayas area. In this restaurant review, I am going to feature the Chicken Ati-Atihan Dipolog branch. My husband kept telling me to try dining in the said place. For those who are planning for field trips or tours, this is one of your choices to enjoy lunch, especially after long trips through Rent a Car Philippines travel arrangements. The restaurant has many choices for travelers, backpackers and food bloggers. The place is cozy and relaxing. In our quest for a relaxing lunch, we decided to eat in a dining place with simple structure, something that is a bit exposed for fresh air. I like eating while observing the streets for new ideas. 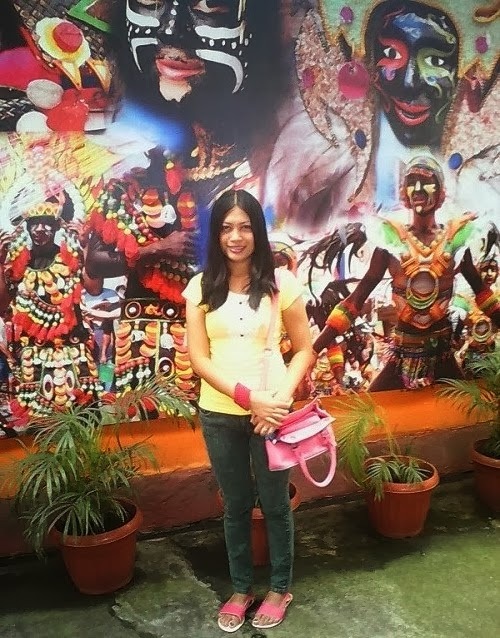 If you like it too, dining at Chicken Ati-Atihan is exciting. The dining area is spacious. The dining area is wide and spacious. You can choose from different areas within the restaurant according to your needs. At that time, I want to take photos for the restaurant review so we decided to stay at the back area. There is less people and it is very cozy. It is affordable. For a total of P284.00, we had a delectable meal and amazing dining experience. We ordered two meals with unlimited rice value and side dishes, one buko halo and one calamansi juice. 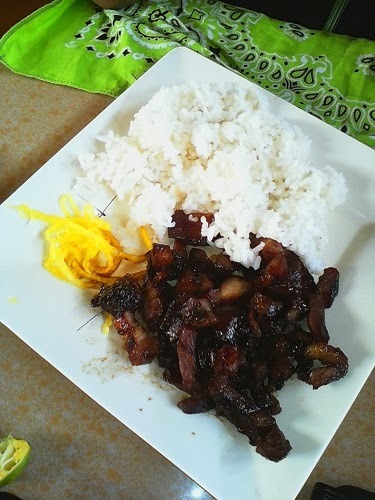 The pork liempo is tasty and delicious. Of course, I love my share that is grilled chicken thigh. We learned about this place through a friend. I thought it's expensive to dine at Chicken Ati-Atihan. In truth, it is not. Of course, many people love its pang-masa appeal. If you are saving cash and you want a good meal, Chicken Ati-Atihan is one of your choices for lunch out. The dining place has grilled menu for those who love eating grilled chicken and pork. Their snacks, side dishes and drinks are also affordable. The unlimited rice promo is very enticing. I noticed that the food attendants are not trained in working while under pressure. Before we finished our meal, we were asking for additional rice, but the waiters are too busy attending to the requests of other people. Even if we waited for them to have time, they're not able to give us what we need. If the restaurant management can address this issue properly, there will be more people to visit their place. Maybe, it was not the lack of workers but the surge of customers since it was almost lunch time. With the little disadvantage that I mentioned earlier, I still prefer to dine at Chicken Ati-Atihan. When my friend and I visited Ozamis City, we also tried it for dinner. We had an amazing dining experience, too. I was craving for lumpia but I opted for buko halo since my friend suggested it. Soon, we will visit Oroquieta City so we will drop by at their branch in the said area.